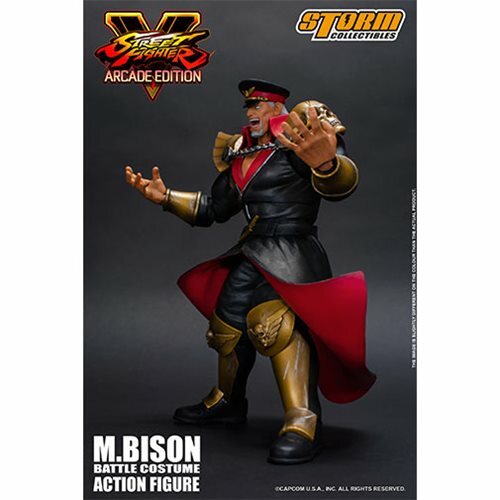 "Now, face the mighty Bison!" 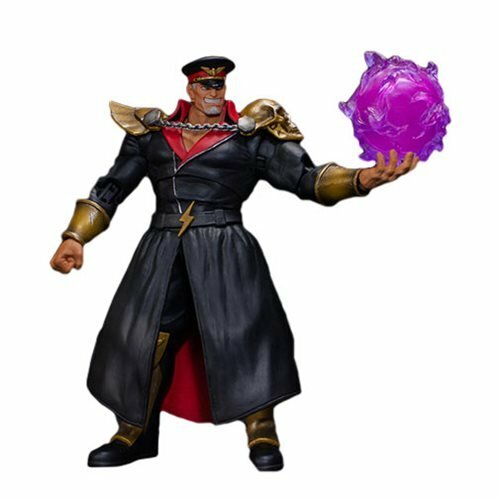 "Bow down before my Psycho Power!" 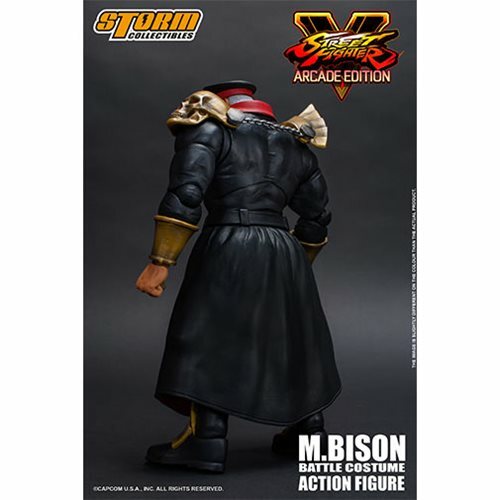 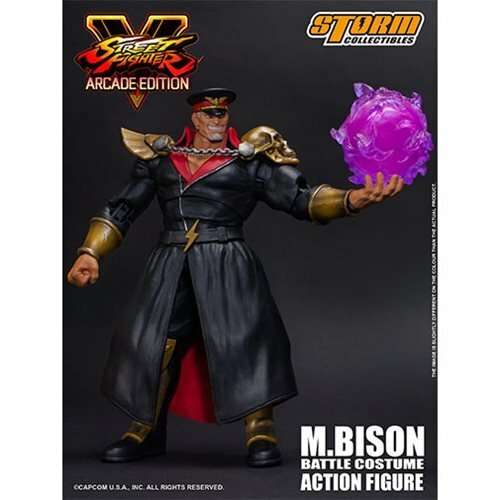 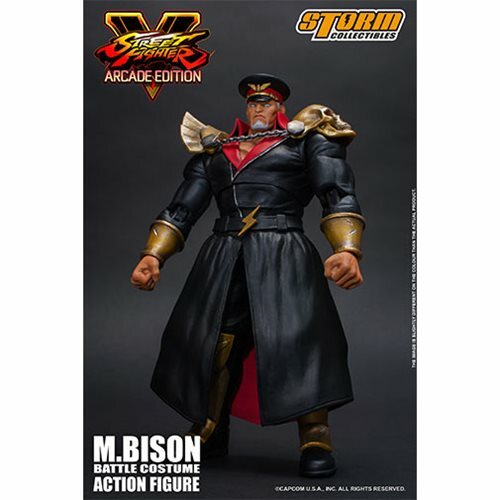 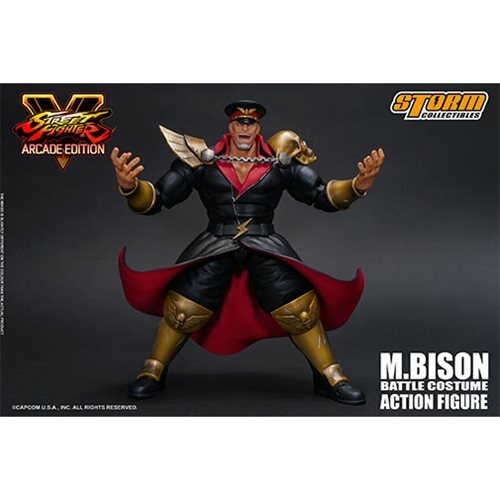 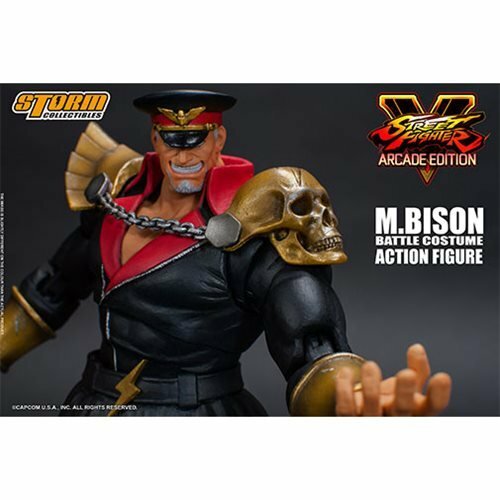 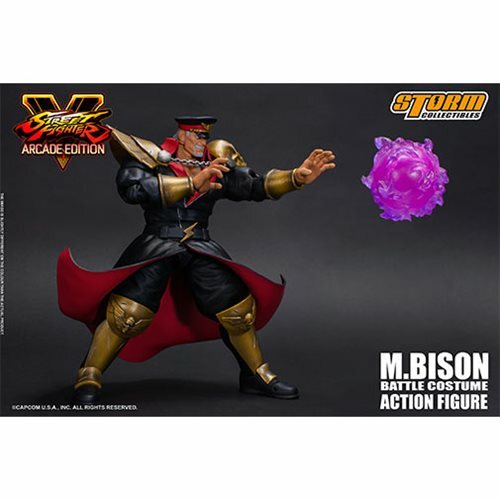 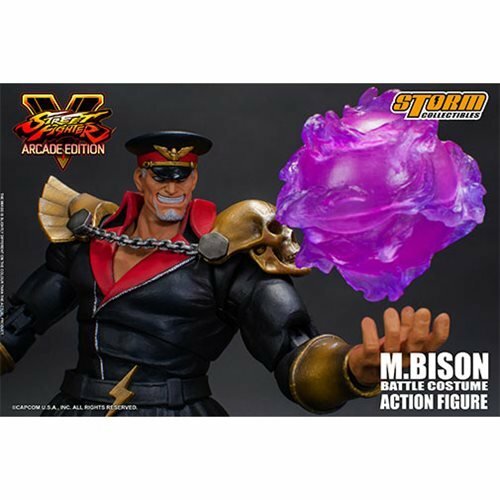 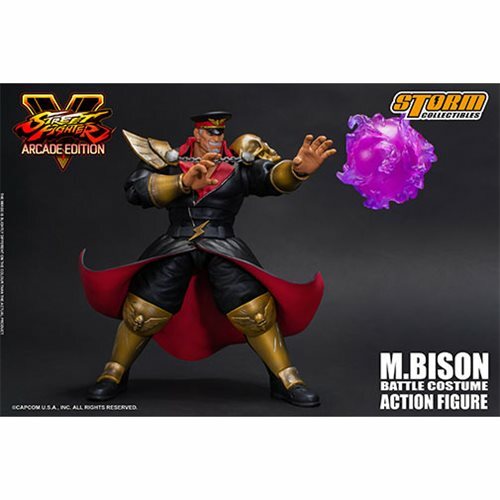 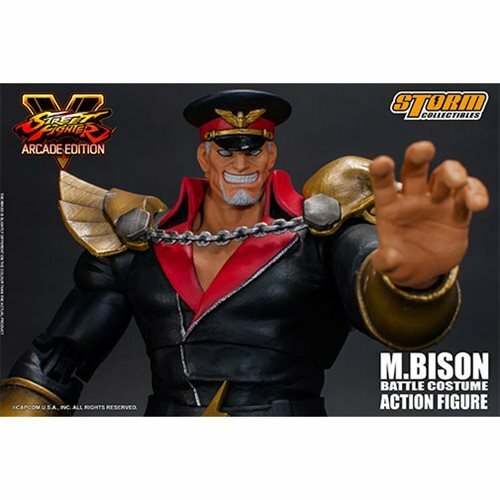 From Storm Collectibles comes M. Bison with his battle costume from the hit video game Street Fighter V. The Street Fighter V M. Bison Battle Costume 1:12 Scale Action Figure includes: 3x interchanging head-sculpts, 1x psycho power effect, 1x interchanging flying motion cape, 4x pairs of exchangeable palms, and 1x stand for psycho power. 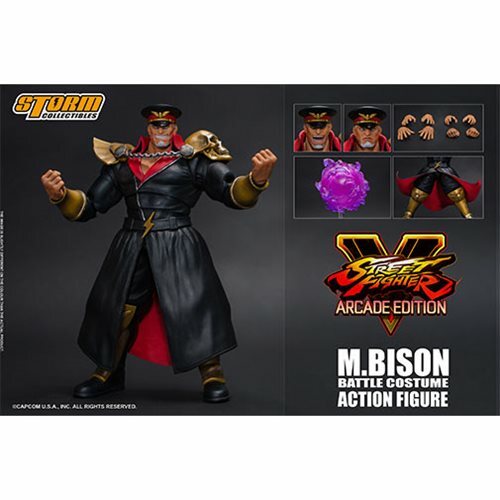 Measures about 8-inches tall.